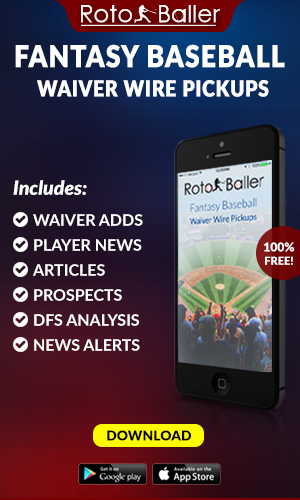 Hey there RotoBallers! Week 6's action didn't disappoint as the Falcons and Buccaneers combined to score 63 points while Todd Gurley's unreal run continued with an insane 208-yard, two-touchdown performance against the Broncos. Melvin Gordon, not to be outdone by Gurley, lit up the Browns for 132 yards and three touchdowns. If you didn't have one of those two aforementioned running backs in your lineups, it probably was not a profitable week. Week 7 brings us a few more projected shootouts as the leaky Tampa Bay defense will attempt to slow the Browns while the Rams and 49ers game has an over/under set at 52 points. 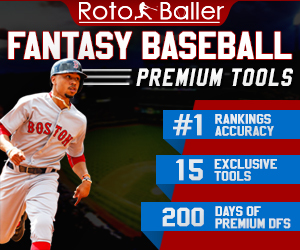 The goal of this weekly column will be to locate some of the best DFS stacks each week. Stacking, or pairing a quarterback with one of his pass-catchers, is a great way to maximize point scoring. This method is generally viewed as a strategy in tournaments, but I also have no problem using safe, high-floor stacks in cash games, as well. 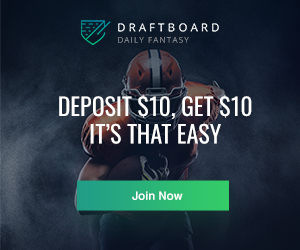 The top Week 7 DFS stacks will be listed below, loosely sorted by salary. The focus will be on the main slate (1:00 PM and 4:00 PM EST Sunday) games across both sites. 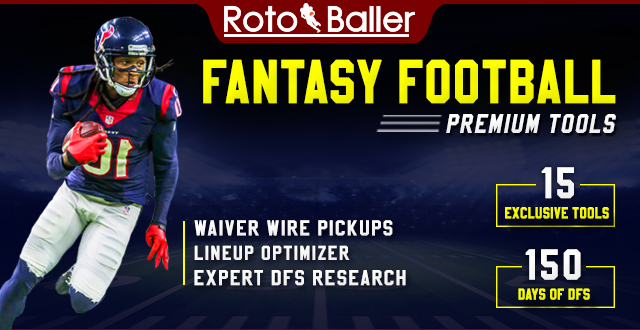 All references to team defense DVOA come from Football Outsiders while cornerback and wide receiver matchups and grade references come from Pro Football Focus. Cousins is off to an excellent start with his new team, racking up 1,921 passing yards, 12 touchdowns, and just three interceptions through his first six games. 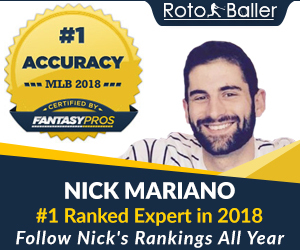 The veteran quarterback should stay hot in Week 7 when he takes on a Jets defense that has been very average against the position this season, allowing the 15th-most fantasy points, 292.3 passing yards, and 1.8 passing touchdowns per game. They have been regressing as the season marches on, however, allowing a 300-yard passing game in three straight contests now. Cousins is a top-five quarterback option this weekend and makes for a strong daily fantasy play in all formats. Adam Thielen ran his 100-yard game streak to six this past weekend as he has emerged as one of the most unstoppable receivers in the league. The veteran receiver has become the favorite target of Kirk Cousins, who has already directed 81 passes toward Thielen. He will look to keep it going in Week 7 against a Jets secondary that will attempt to counter him with slot corner Parry Nickerson. The Thielen-Nickerson matchup is one of the biggest mismatches on the slate as Nickerson is graded out at just 38.4 over at Pro Football Focus. The combination of his talent plus the Jets' inability to cover the slot makes Thielen the top receiver play on the slate this weekend. Goff failed to reach expectations for the first time in Week 6, finishing with just 201 scoreless passing yards. He wasn't needed as the Rams relied on Todd Gurley and the running game to defeat Denver. The 49ers offer a prime bounce-back spot for Goff, who shredded them for 292 yards and three touchdowns in their only meeting last season (he sat out of the two teams' Week 17 tilt). San Francisco represents a plus matchup for opposing passing games, ranking 26th in the league in pass defense while ranking 11th in run defense. The Rams should have no trouble exploiting this weakness in Week 7. Robert Woods continues to fly under the radar while teammates Brandin Cooks and Cooper Kupp get more notoriety from the masses. Woods has been excellent this season, reaching at least 81 receiving yards in every game except his disappointing 37-yard performance in Week 1. He is also leading the team with 54 targets, 10 more than second place Cooper Kupp. Look for that number to tick upward with Kupp unlikely to play this weekend after spraining his MCL last week. Especially with Kupp out, Woods is locked in as a strong WR1 play this weekend. Stafford and the Lions will be fresh coming off of their Week 6 bye and head to Miami to take on a Dolphins defense that just coughed up 316 passing yards and three touchdowns to Mitch Trubisky. Overall, the Dolphins pass defense has looked solid this season, ranking 11th in DVOA and allowed the ninth-fewest fantasy points per game to opposing quarterbacks. That being said, they have been generous with passing yardage, allowing 289.5 yards per contest, 11th-most in the league. Stafford, buoyed by one of the best wide receiver trios in the league, has passed for multiple touchdowns in all but one of his five games played this season. Golladay has ascended to the No. 1 wide receiver spot in the Detroit offense this season. The second-year wideout is second on the team with 43 targets and offers the most well-rounded skill set of the Detroit receivers. In Week 7, he will do battle against a Miami secondary that doesn't have a single played graded higher than 72.3. He will run the majority of his routes against Xavien Howard, who has earned a 66.8 grade this season. Mayfield could go overlooked by DFS players in Week 7 after he struggled against the Los Angeles Chargers in Week 6. The rookie quarterback faced constant pressure from the Chargers, resulting in a disappointing final line. Fortunately for him, he faces a Tampa Bay defense that cures all ailments in Week 7. Tampa Bay's pass defense has been one of the worst units in the league this season, ranking dead last in DVOA and allowing the most fantasy points per game to quarterbacks. The Buccaneers are allowing a dizzying 367 passing yards and 3.2 passing touchdowns per game this season. Mayfield's price is low across the major sites and he sets up as a strong play in cash and tournaments. Cleveland No. 1 wide receiver Jarvis Landry has struggled a bit since Mayfield took over at quarterback, but not for lack of volume. Mayfield has targeted Landry on 29 pass attempts in his three starts but the two have connected for just 11 receptions over that span. Landry is in a fantastic blowup spot here in Week 7 as he will do battle against a Tampa Bay secondary that is allowing the second-most fantasy points per game to opposing receivers. He will draw primary coverage from Tampa slot corner M.J. Stewart, who has a 55.4 grade at PFF and allowed Atlanta slot receiver Mohamed Sanu to score in Week 6. Landry is simply seeing too much volume and has a perfect matchup that will allow him to start cashing in on all those chances this weekend. Flacco isn't usually high on the list of preferred fantasy plays but a struggling New Orleans pass defense puts him squarely on the map as an excellent value option this weekend. The Saints' No. 30 ranked pass defense in DVOA is allowing the third-most fantasy points per game to opposing signal-callers this season. Couple that with an explosive offense led by Drew Brees and we can reasonably expect the Ravens to pass frequently this weekend in what could develop into a shootout. Flacco has quietly been solid this season, ranking as the overall QB17 in points per game on DraftKings and the QB18 on FanDuel. Based on his plus matchup this week, he can be relied upon as a low-end QB1/high-end QB2. While teammate Michael Crabtree turned in his best game of the season in Week 6, Brown is the man you want to be rostering, especially in GPPs. Brown ranks second on the team with 49 targets but he has been one of the league's most frequently targeted players on deep passes. The New Orleans secondary will look to counter Brown primarily with Ken Crawley, who has a 49 grade at PFF. Top Saints cornerback Marshon Lattimore figures to spend most of his time squaring off against Crabtree, opening up plenty of opportunity for Brown. Osweiler's 380-passing yard, three-touchdown outing against the Bears in Week 6 goes down as one of the most surprising fantasy performances of the season. Filling in for the injured Ryan Tannehill, Osweiler gave an excellent Chicago defense all they could handle. While it may be a stretch to expect him to repeat his Week 6 performance, Osweiler does draw a much more enticing matchup in Week 7 against a Detroit pass defense ranked 28th in DVOA. This is not exactly a safe play but Osweiler's cheap price tag opens up plenty of value at other positions for lineup building. Albert Wilson was a popular target of Brock Osweiler in his surprise Week 6 performance, finishing second on the team with eight targets and racking up six catches for 155 yards and two scores. With Osweiler slated to start again in Week 7, look for Wilson to remain prominently featured in the Miami passing attack this weekend. Wilson is exceptional at picking up yardage after the catch and should see plenty of opportunities to rack up yardage on dump offs from Osweiler. He will see primary coverage from right corner Teez Tabor, the proud owner of a 29.1 grade at PFF. If you really want to get zesty, consider adding Danny Amendola and making it a three-man stack. Amendola doesn't have the explosive upside that Wilson does, but he led the Dolphins with 11 targets in Week 6. The elite Jacksonville pass defense will certainly scare off many DFS players this weekend but it is worth mentioning that the Jaguars have shown some leaks of late, allowing either 300 passing yards or multiple passing touchdowns to opposing quarterbacks in two straight weeks. Watson's rushing ability also helps to keep his floor high, even if we can expect his passing numbers to be suppressed by the Jaguars. Watson's top target, DeAndre Hopkins, will see primary coverage from Jalen Ramsey, who has taken a step back this season, grading out at 61.6 at PFF. The Jaguars have not been strong against opposing No. 1 receivers this season, ranking 23rd in pass defense DVOA against the opponent's top receiver. Hopkins and Watson are a great contrarian stack for Week 7.